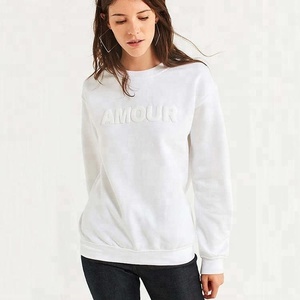 2018 OEM Custom Streetwear Top Women Smooth Velvet Pullover Crew Neck Sweatshirt Details: A smooth velvet knit pullover featuring long dropped sleeves, a round neck, and an relaxed fit. 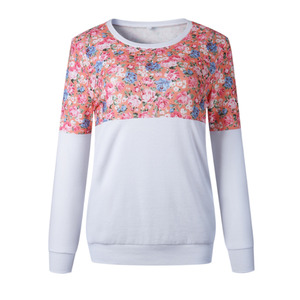 Alibaba.com offers 4,134 womens crew neck sweatshirts products. 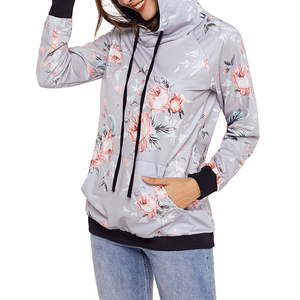 About 57% of these are women's hoodies & sweatshirts, 2% are women's sweaters. 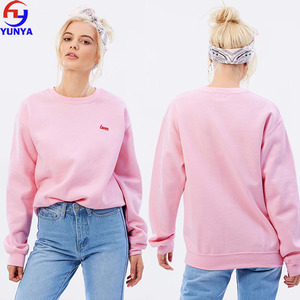 A wide variety of womens crew neck sweatshirts options are available to you, such as garment dyed, plain dyed, and embroidered. You can also choose from 100% cotton, 100% polyester, and spandex / cotton. As well as from free samples, paid samples. 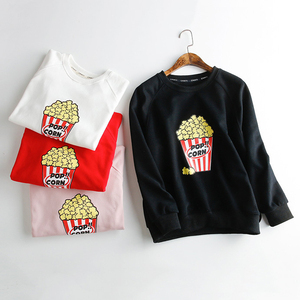 There are 4,063 womens crew neck sweatshirts suppliers, mainly located in Asia. 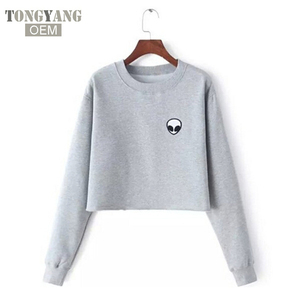 The top supplying countries are China (Mainland), Pakistan, and United Kingdom, which supply 77%, 19%, and 1% of womens crew neck sweatshirts respectively. 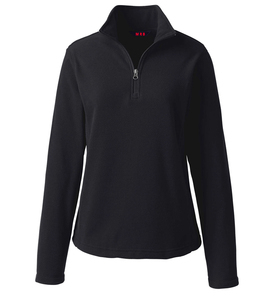 Womens crew neck sweatshirts products are most popular in North America, South America, and Western Europe. You can ensure product safety by selecting from certified suppliers, including 218 with Other, 48 with ISO9001, and 38 with BSCI certification.